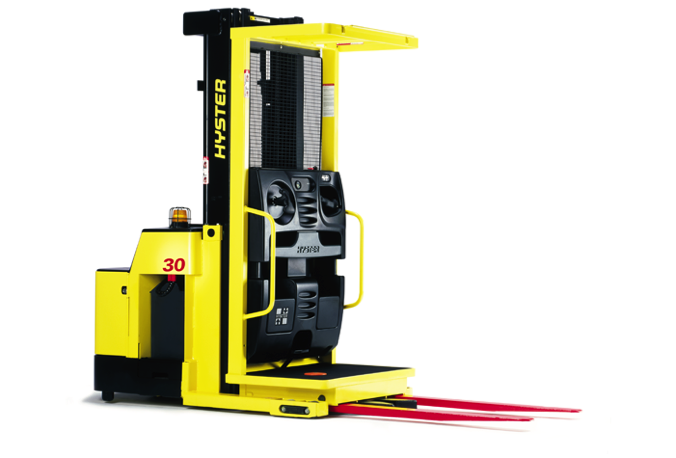 Working in a narrow aisle application, and picking items from various bay levels and locations is the job of an order picker forklift. 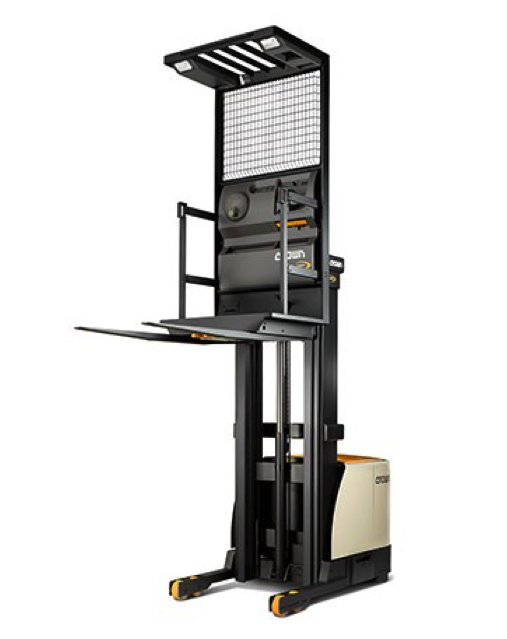 Designed to allow the user to travel parallel to the pallet racks, gathering items and placing them on a pallet attached to the forks of the machine, is how an electric order picker is designed to work. 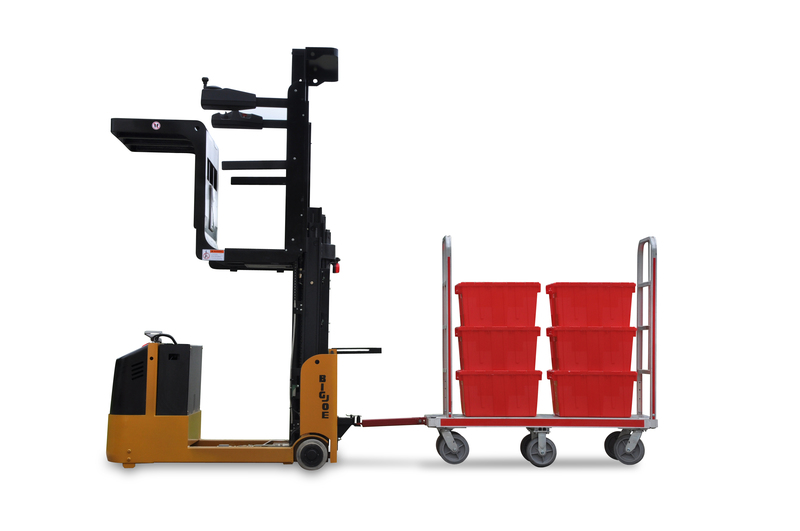 The operator travels up on a platform with the forks, enabling them to pick product from each storage location. Aisle width can be reduced to four to five feet, and product can be stored up to 30 feet high, maximizing your warehouse floor space.